Architecture in many ways is the most tangible and obvious relic of any bygone era or society. Structures and monuments remain for thousands of years after empires fall and cultures mutate, leaving behind a symbol of the ethos and psyche of a time and people. It has a profound way of immortalizing a society’s spirit in that the architects of any certain time, consciously or not, inject the perspective and essence of their society into their structures. Totalitarian architecture has an uncanny ability to capture this phenomenon. Regimes both past and present have utilized architecture to manifest strength and power into the collective psychology of their people whether to subjugate their own or to intimidate their enemies. In many ways, Totalitarian architecture represents the potential of the regime that builds it. Fascist architecture is one such example of totalitarian ideology manifesting itself into the physical realm of a society. 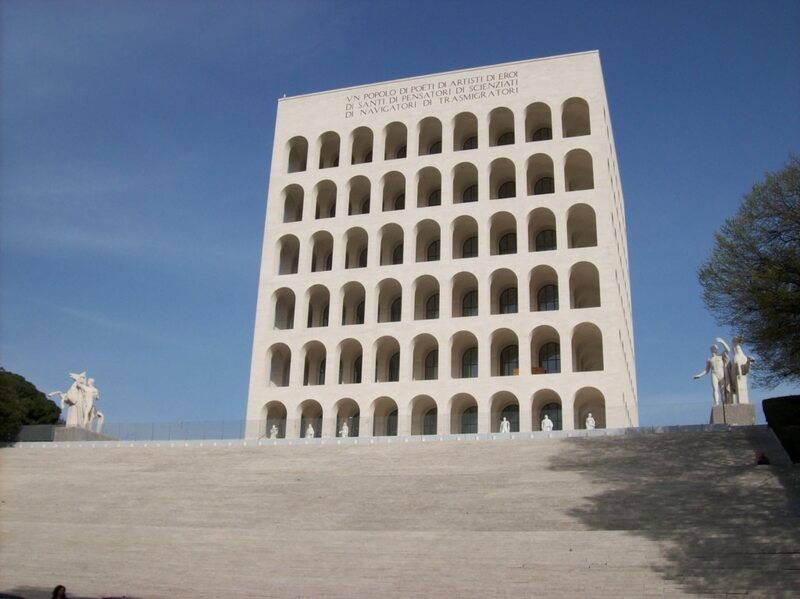 Developed in the early 20th century by the Italian and German regimes of the day, fascist architecture borrowed much from neo-classical and ancient roman architecture by stripping away the ostentatious and stressing simplicity and symmetry. Cold and forbidding in nature, these structures were built to symbolize an unwavering power over the regimes people. Nazi Architecture’s origins can be traced back to Romanesque and Doric classicism as well as indigenous styles from various areas of germany such as Biedermeir which were conceived to be “aryan.” Nazi architecture in this sense was designed to influence citizens through an implicit propaganda encoded into its structures. It’s architectural influences contributed to a symbolic representation of firstly power, size and strength in an attempt to intimidate, and moreover, the influences from which it was inspired coded an implicit message of “racial superiority”. 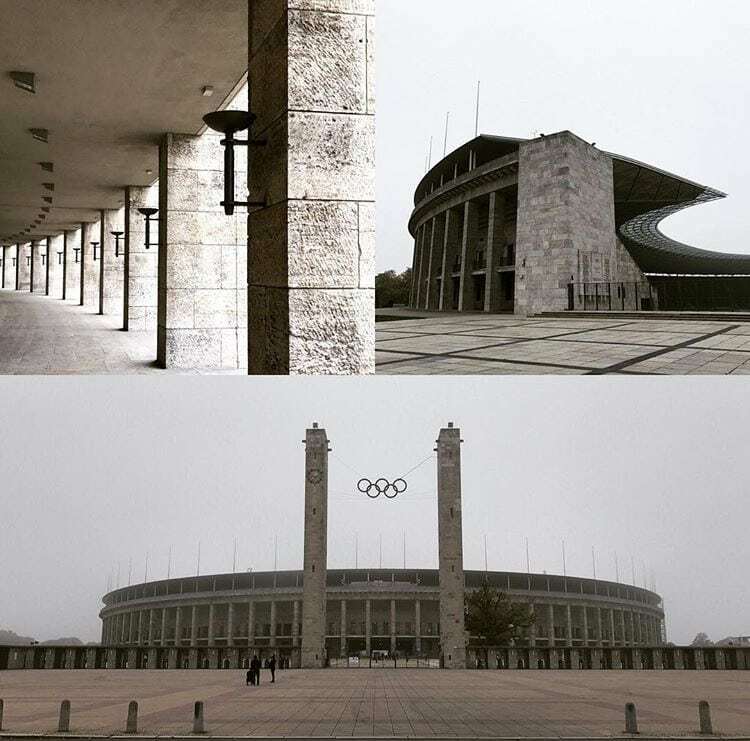 Albert Speers, the architect of some of the most prominent and notable Nazi built structures purposely utilized designs and material which would stand the test of time against the elements, attempting to mimic the longevity of structures like the Coliseum and the Parthenon. Hitler felt as though structures of the past were direct representations of the cultures that created them. In this sense, he believed architecture could be used by man to transmit his regime and its credo to posterity. Some of Nazi Germany’s architectural plans never came to fruition. However, their renderings say much about the regimes thirst for power, and how this insatiety was channeled into their buildings. 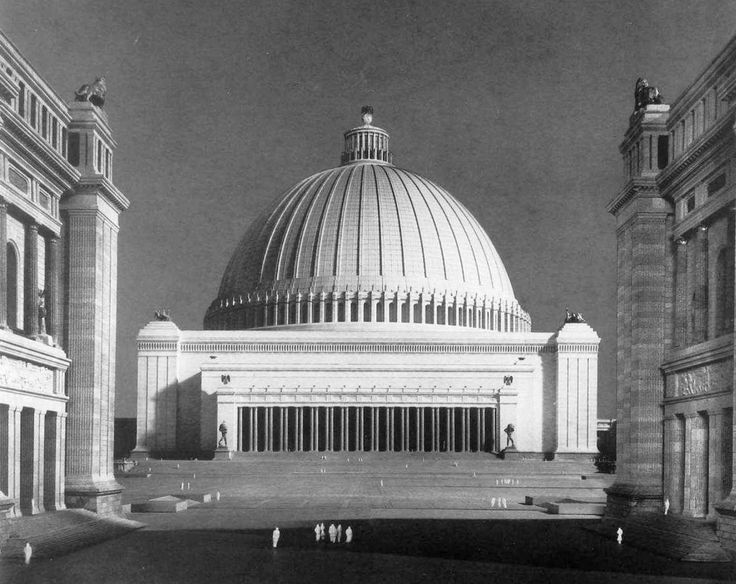 The Volkshalle would still be the largest enclosed space on the planet if it had ever been built. It would have been over 700 feet high and 800 feet in diameter, sixteen times larger than the dome of St. Peter’s in the Vatican. Inside, there would have been space for 180,000 people. The structure would have been the centre of “Germania,” a hypothetical city which Albert Speers and Hitler proposed would transform Berlin into the capital of German occupied Europe. In the same way that Nazi architecture manifested the regimes hopes to inculcate reverence for the governing body through menacing structures that encoded an implicit message of racialized superiority, North Korean architecture seeks a similar means of intimidation and manipulation through structural design. 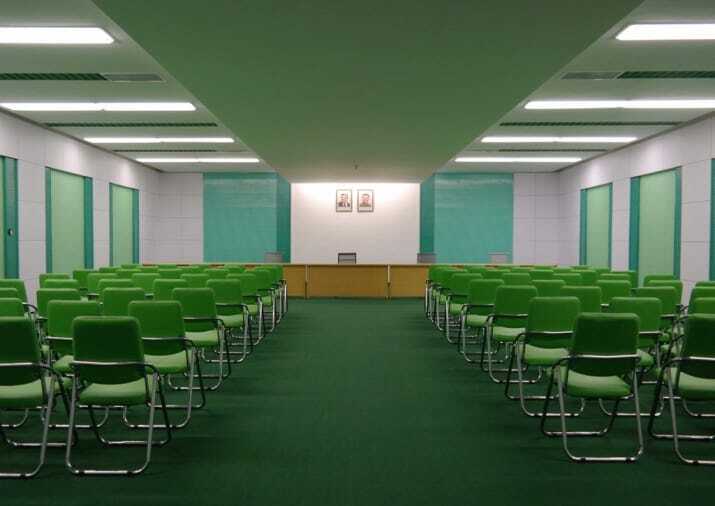 One of North Korea’s design principles is symmetrically aligned spaces with a central axis, directing your gaze toward an image or statue of the country’s two leaders. Kim Jong-il wrote in his 160-page architectural treatise, which serves as the manual for all future developments in North Korea: “Architectural space must be composed to ensure that the leader’s image dominates all the elements of the space, and that all the architectural components throw the leader’s image in bold relief…This will help people to look up at the leader’s image at all times and inspire them with the pride and consciousness that they are happy in the leader’s embrace.” In this sense, North Korean architecture places totalitarian ideology at the basis of all of its designs, ensuring that the structures and spaces in which North Koreans inhabit are constantly reinforcing allegiance to the state. With the likeness of the country’s rulers at the focal point of every space North Koreans inhabit, the design of their buildings and cities gives way to a feeling of surveillance, further subjugating their people. 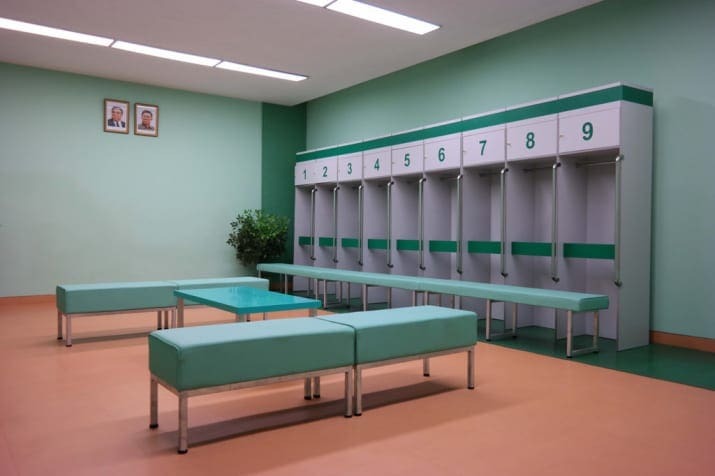 North Korean architecture and design also heavily incorporate a specific colour palette of pastel hues into both their interiors and exteriors in an attempt to create a feeling of warmth and prosperity in complete opposition to the rampant poverty and oppression the North Korean people face. Consequently, it can be said that not only does North Korean architecture and design promote allegiance to an oppressive state, they also inherently attempt to create a facade which conceals the oppressive living and working conditions that the people face. At the peak of fascism in Italy, Mussolini sought to create a new site for a ‘modern Rome’ to prosper from after Rome was awarded the honour of hosting the World’s Fair in 1941. 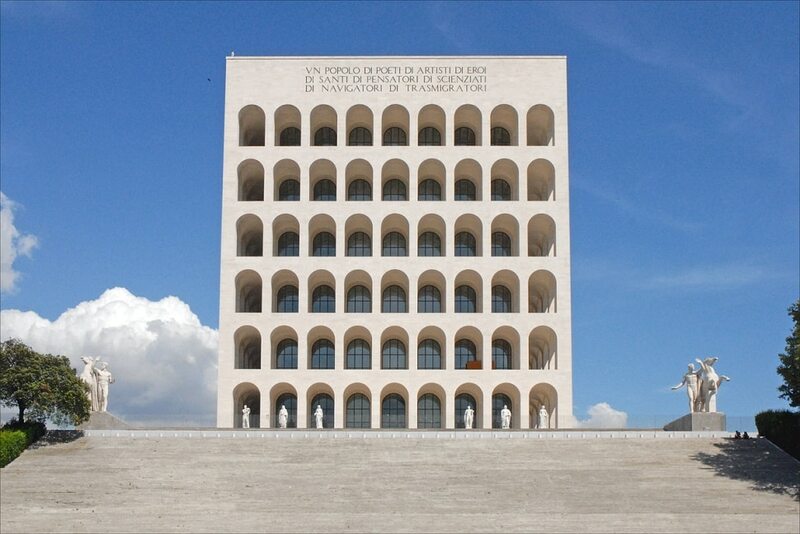 This site would become a relic of Italian Fascist Architecture long after the fall of Mussolini. The district is named after this event, Universal Exhibition or Esposizione Universale Roma (EUR) and was built to showcase the power and strength of the regime. Marcello Piacentini was nominated as master architect of the region and developed plans for long-standing sites throughout the area as well as temporary pavilions for the fair. Much like Nazi architecture the structures in the EUR were designed with little ostentation in mind, rather focusing on a neoclassical approach. 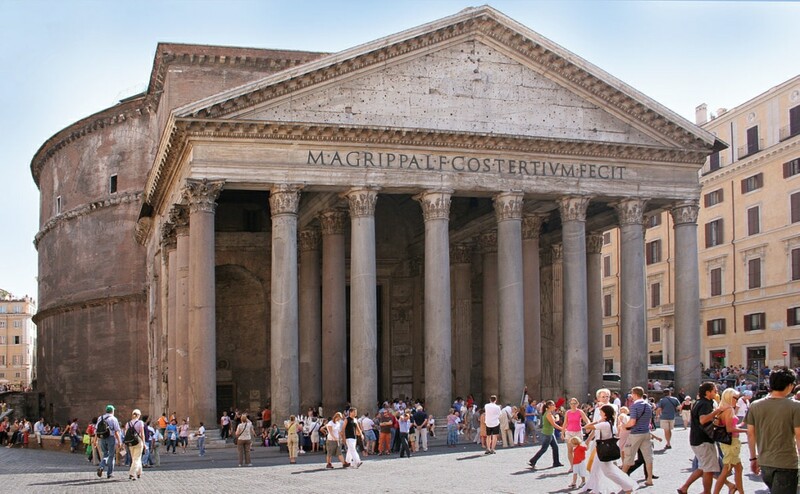 Dubbed as rationalist, this architecture combined the classical aesthetic of Ancient Rome: exaggerated proportions of grand, authoritarian size that imposed power and absolution. Much like Hitlers architect Albert Speers, Piacentini designed all of the buildings to stand the test of time and thus made the structures from travertine stone- the exact same material the Colosseum was built out of. Buildings such as the Palazzo della Civiltà Italiana are distinctly simplistic, stark and anti baroque instead striving to represent “truth and reason” above all other things. Palazzo Civilta Italiana, via Blackcat. 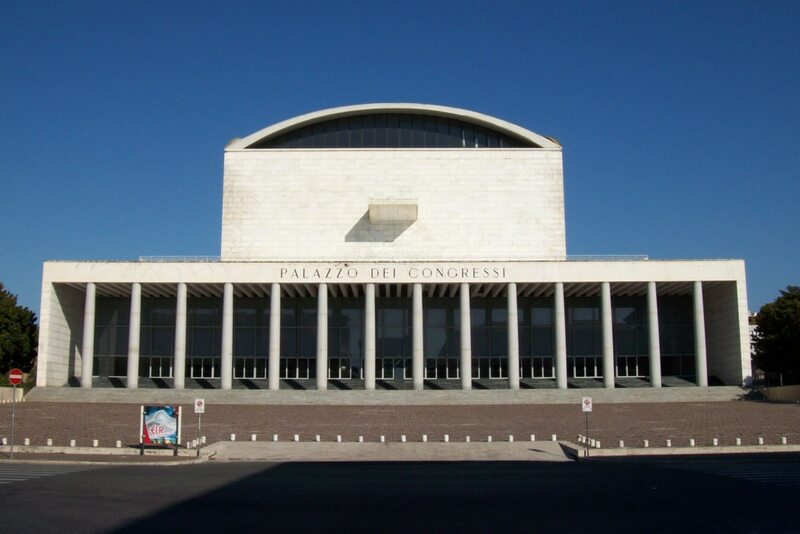 Palazzo Dei Congressi in the EUR, via Blackcat. 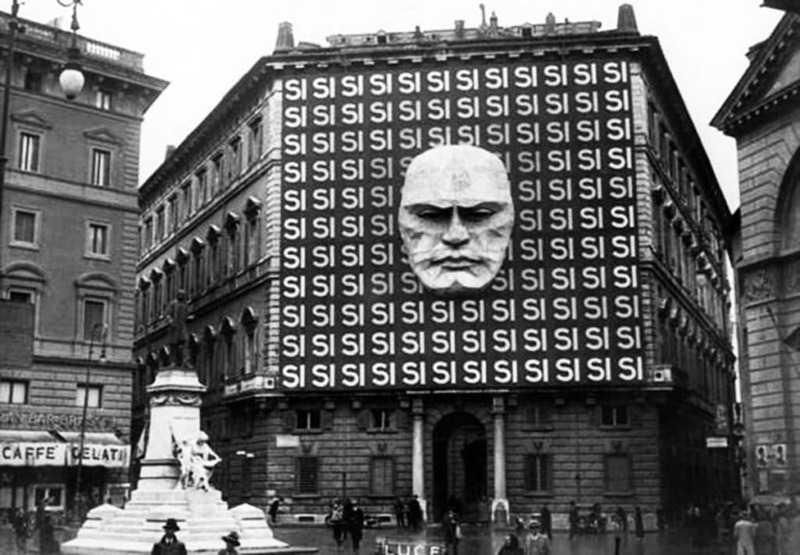 Like Adolf Hitler, Mussolini believed that an architectural style distinctly identifiable as belonging to a certain culture was a way of unifying citizens and underlining the tenets of their ideology, namely strength and stability and the authority of the government. He attempted in the case of the EUR to immortalize his reign in stone, as so many other dictators before him have sought to do. One might feel as though in the modern western world, society is immune to such totalitarian and fascist rule and school of thought. 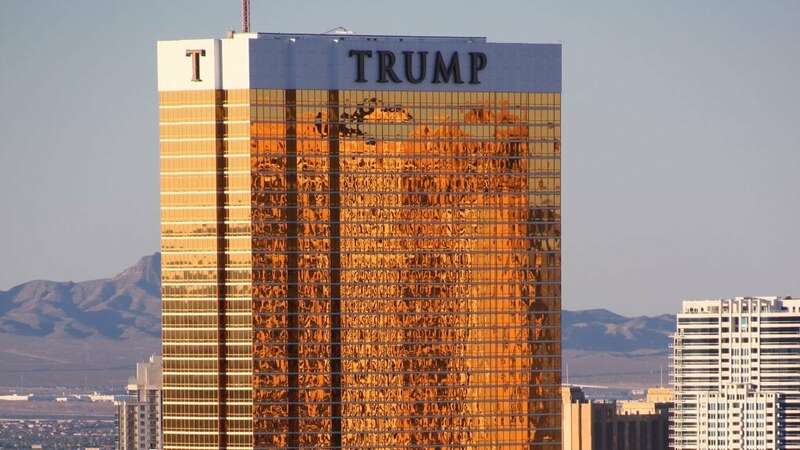 However, in the era of the Trump administration, where symbols of fallen totalitarian dictators run rampant in the streets, perhaps the architecture of the 45th POTUS’ hotels and casinos can point to a subtle (or not so subtle) linkage between regimes of the past and present. In this sense, as with Nazi architecture, the basis upon which these structures are designed and built points to the overarching objective of the ruler and regime who built them. Nazi architecture encoded strength, power, and above all symbolism of white supremacy into their buildings. Trump on the other hand has a message even less subtle, egotism. Not just egotism in a traditional sense, however, egotism based within a capitalist framework. If money is god, then Trump towers are its place of worship.